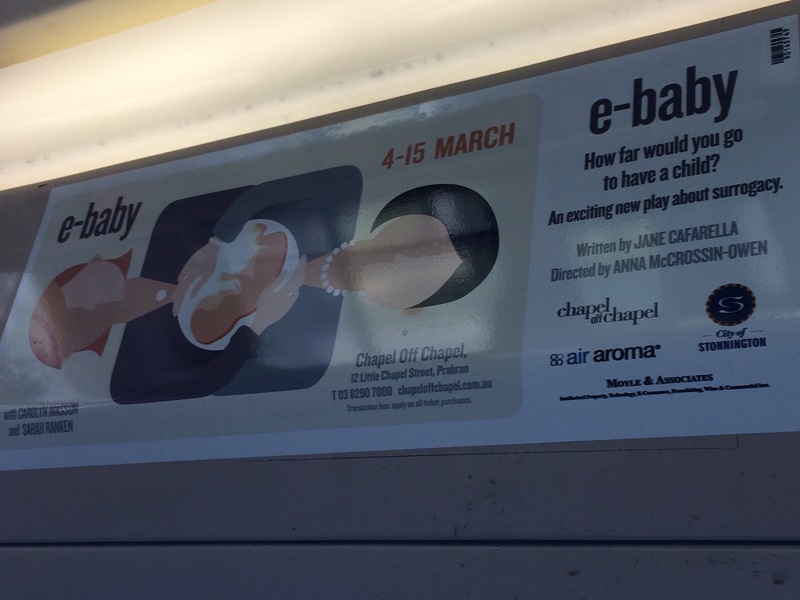 Win a free ticket to the new Australian play e-baby for your selfie with our e-baby tram poster! Posters are inside four trams traversing routes 78, 79, 3, 64 and 67 around Melbourne until February 22. Main streets travelled: Swanston St, St Kilda Rd, Dandenong Rd, Church St, Chapel St, Hawthorn Rd and Glenhuntly Rd. e-baby is about one of the hottest issues of our times – surrogacy. Written by JANE CAFARELLA and inspired by true stories. Directed by ANNA McCROSSIN-OWEN and starring Carolyn Masson and Sarah Ranken. Ride the e-baby tram and take a selfie with the poster in the background for a free ticket to the show.